Our Advanced Pack takes you that one step further, by adding a refreshing drink that is rich in antioxidants. Instant Herbal Beverage contains a select blend of distinct herbs and botanicals that will help provide you with a natural daytime lift and you an invigorating feeling. Feel the difference as Instant Herbal Beverage contributes to the building and preservation of the body's normal vitality and well-being by providing additional fluids. 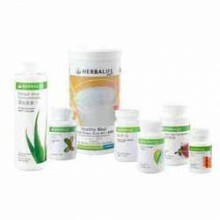 The Advanced Pack includes all the components of the Quickstart Pack plus Herbal Aloe Concentrate and Herbal Tea Concentrate.